Supplements are billed as super-healthy, but did you know that some of them have harmful interactions with certain types of foods? There can be too much of a good thing. An, in some cases, you may be able to overdose on the vitamin or mineral that you’re supplementing with. 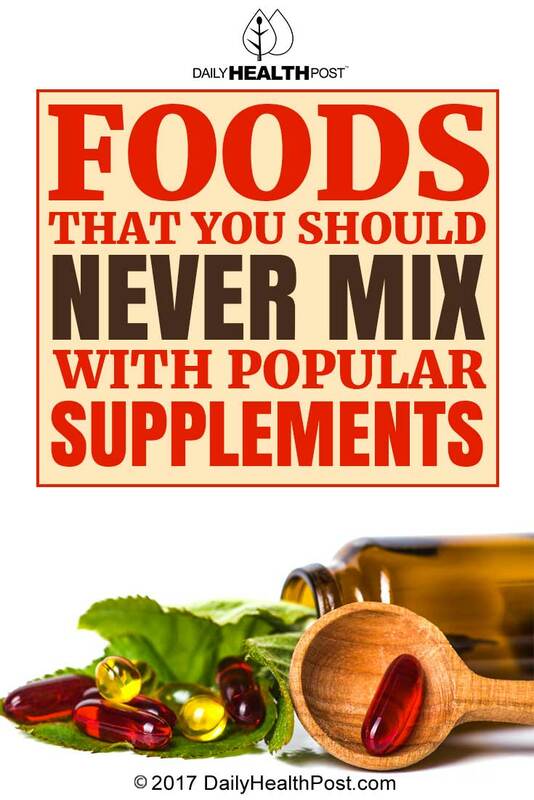 Check out this guide to foods that you shouldn’t mix with your supplements and always talk to your doctor before starting a new supplement regimen. Although selenium toxicity is fairly rare in the United States, it can be potentially fatal, leading to a whole range of symptoms from hair loss to cirrhosis of the liver. If you are taking a selenium supplement or a multivitamin that contains large amounts of selenium, avoid eating Brazil nuts in large amounts. In fact, even people who aren’t taking a selenium supplement should generally enjoy Brazil nuts only in sparing amounts, as one serving contains nearly 800% the daily recommended dose of selenium. If you take high-dose iron supplements, you may want to steer clear of foods that increase iron uptake. Why? Rarely, iron poisoning can result from ingesting too much iron. 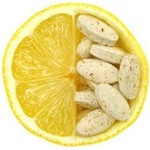 In these cases, the culprit tends to be taking too many iron pills, but a high dose combined with foods like citrus, sweet potatoes, and broccoli, which are packed with vitamins A and C, could potentially worsen the side effects of taking iron supplements (although they probably won’t lead to an incidence of iron poisoning, which is most common in children accidentally taking too many supplement pills). Taking too much calcium can lead to a condition called hypercalcemia, where too much calcium wreaks havoc in the body. If you’re taking a high dose of a calcium supplement every day and also eating large amounts of dairy products, leafy green vegetables, and other calcium-rich foods, your body will usually just excrete the excess calcium. But sometimes, if you have a hormonal imbalance or any other health issues, this calcium stays in your body and, if untreated, can cause abnormal heart rhythms (arrhythmia), mental fogginess, bone issues like osteoporosis, kidney stones and failure, and nervous system complications. From what we hear from the health and fitness world, it sounds as though you could never possibly get enough Omega-3s! But unfortunately, as the European Society of Cardiology warns, there can be too much of a good thing. More than a gram of Omega-3 per day can increase bleeding risk, which can be a serious issue for anyone, but especially those with hemophilia, leukemia, and those taking a blood thinning medication. If you eat a lot of fatty fish like salmon (or a lot of olive oil, walnuts, and other foods rich in Omega-3s), be careful not to exceed the European Society of Cardiology’s recommendation of 1 gram of Omega-3 fatty acids per day. Have you ever encountered problems with mixing foods and supplements? Share your experience in the comments section!